Exchange in stock - Always. Surplus stock available as spares ! 180 day warranty on Exchange, Repair. 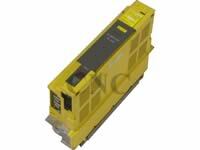 Full range of services are available for the A06B-6089-H105 Fanuc Alpha Servo Amplifier Module. Normally this SVU1-80 single channel / axis servo has been fitted on on mid sized machines requiring independent regen per axis. The A06B-6089-H105 like the entire 6089 series is a Type B interface from serial system outputs, including 0-MC, 0-TC, 15, 16, 18, 21 all generations pre I / FSSB interface. The A06B-6089-H105 is in stock, and drives model A12/3000 and A22/2000 servo motors with world class prices, and shipping from DNC Germany throughout Europe today, warranty on exchange is 180 days, test and repair facilities are available, Used surplus spares availability is possible on the A06B-6089-H105.